Curly in the City: Oh What a Weekend!!! **Sorry this went up late, I was obviously not paying attention when I hit publish! whoops! I had an AMAZING weekend!!! It was PERFECT!!! Happy Hour on Friday with Lesley, was more like hours and bottles of wine!!! I couldn't have asked for a better date or food! Saturday's Shopping, lunch and West Elm Event with Danielle was pure bliss!!!!!!!!!!! Scooped up so many goodies, and talked and giggled lots. We had a blast! Here is what I walked away form Zara with 1, 2, 3 - YIPEE!! The upper right #4 & #5 were online orders since they were out of my size in store. Sunday= PJ's all day & Oscars. Perfectly relaxing! The fashion was either good or bad, possibly a full recap coming but these were by far my favorites! Love that Zara jacket! Sounds like the perfect weekend! Love your Zara purchases esp that jacket !! 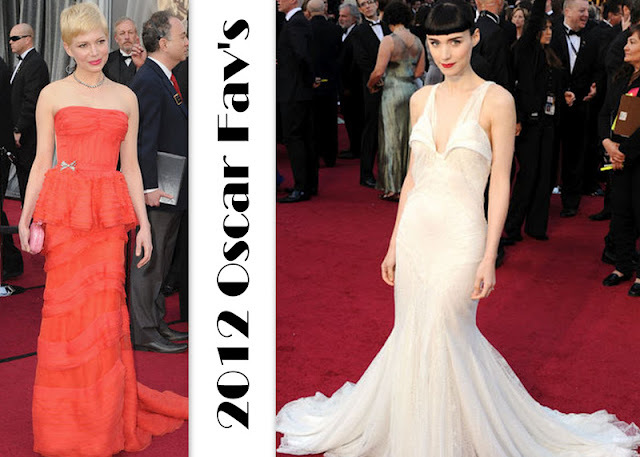 I agree with ur Oscar best dressed as well Michelle Williams always knocks it out of the park ! Michelle Williams was definitely my favorite look of the night! I am loving your Zara purchases. Those sandals are great! Glad you had a good weekend - still trying to catch up on all the Oscar coverage! AGREED! Michelle Williams was just stunning! Wow what a score at Zara. I always find fabulous stuff online but never in store. GOOD ON YOU.... Can't wait to see them on you! Those flat sandals are SO cute! I love. Two of my faves! And now you've got me thinking sandals. Fun sounding weekend!! The Zara purchases are fun! I love the black dress you picked and hope you'll do an outfit pic with those shoes. So pretty. Amazing purchases!! I may need to make a trip to Zara asap! I think I need to make a trip to Zara immediately. Your finds are amazing! And I agree that Michelle Williams was one of the best dressed at the Oscars. Someone at work today said they thought her dress was "eh," but I thought it perfectly fit her personality. This sounds like an ideal weekend! So jealous. Glad you had such a fabulous time with such wonderful ladies! And don't even get me started on how amazing those purchases are. Love the second dress! So cute. LOVE those sandals from Zara...enough that I'm going to go buy them right now!